1) The song refers to the singing of choirs. Have you ever been in a choir or a vocal group? 2) Chris Martin sings of when he "ruled the world." If you were in charge and had infinite power, what would you change right away? 3) Chris used to be married to actress Gwyneth Paltrow. USA Today, The Washington Post and The Daily Telegraph have all run articles about how Gwyneth seems to annoy so very many people. What celebrity gets on your nerves? 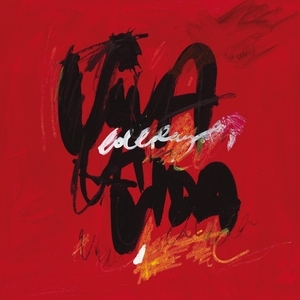 4) Coldplay's first big hit was, "Yellow." What color are you wearing right now? 5) Sam remembers when she used to hear this song everywhere and can't believe that was 7 years ago! When is the last time you had a similar "my, how time flies!" moment? 6) In 2008, when "Viva la Vida" was popular, John Grisham's latest legal thriller, The Appeal, was jumping off bookshelves. What have you read this summer? 7) Thinking of books: Let's say a biographer has taken the task of writing your biography. What would you title your life story? 8) 2008 is also the year Paul Newman died of cancer. Name a Newman movie. 9) Random question: Do you like garlic? 1) This song is about a woman returning to the town where she was happiest. How many towns have you lived in? 2) Crazy Sam played Ernestina in her high school production of Hello, Dolly! and still remembers one of her lines: "Hey, you with the big ears! What are you doing after the show?" Tell us something that you memorized for school that is still rattling around in your brain. 3) This week's featured artist, Louis Armstrong, got his start entertaining diners on riverboat dinner cruises. Have you ever taken a dinner cruise? 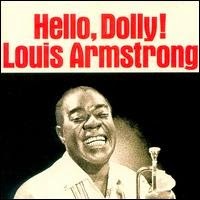 4) Armstrong took his nickname, "Satchmo," from "Satchel Mouth" -- a slang term for someone with a wide mouth, which Louis believed was his most distinguishing feature. What do you think people notice first about you? 5) In 1936, Louis became the first African American to get featured billing in a Hollywood movie. Have you seen any of this summer's big movies? 6) When "Hello, Dolly" composer Jerry was growing up, he was close to an aunt named Belle who encouraged his love of music. Tell us about one of your aunts or uncles. 7) Though famous for composing the scores of Hello, Dolly!, Mame and La Cage Aux Folles, Jerry Herman can't read music. Can you? 8) Now retired, Mr. Herman lives in Miami. This is Miami's "wet season," which lasts into October. When did it last rain where you are? 9) Random question: Have you suffered a sunburn this summer? 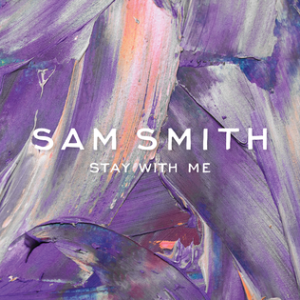 1) Sam Smith explains that this song is about just not wanting to wake up alone. How about you? Are you comfortable being by yourself? 2) Last year a lawsuit filed by Tom Petty and Jeff Lynne, who maintained that "Stay with Me" was really just "I Won't Back Down." Petty and Lynne won. Have you ever served on a jury? 3) Smith performed this on The David Letterman Show. Did you watch Dave's final episode last May? 4) Smith says his style was influenced by ladies with "massive voices," including Adele, Amy Winehouse, Chaka Kahn, and Whitney Houston. Of those four, which do you listen to most often? 5) Speaking of style, Mr. Smith is a smart dressed man who looks comfortable and dapper as he walks the red carpet in a tux. Do you enjoy getting dressed up for special occasions? 6) "Occasions" is a word that makes Crazy Sam stumble because she can never remember how to spell it correctly. Are you a good speller? 7) Sam Smith was born on May 19, which makes him a Taurus. When did you last check your horoscope? 8) Tauruses are supposed to be reliable, organized and ambitious. Do any of those three adjectives describe you? 9) Random question: Look at the floor. Do you see carpet, rug, hard wood or tile? 2) In 2007, the Colorado General Assembly named this one of the state's two official songs. (The other is "Where the Columbines Grow.") Do you know your state song? 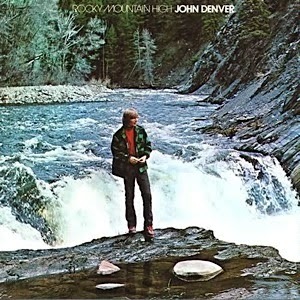 3) John Denver was a dedicated environmentalist who wrote an anthem about Earth Day. Are you careful about your energy consumption? Do you recycle? 4) 1975 is also the year that Denver released a collection of holiday songs called Rocky Mountain Christmas. On this August day, what's the first carol that comes to mind? 5) Denver dabbled in photography in his spare time and friends say he was quite good. Tell us about your hobbies. 6) In 1975, when this song was popular, mood rings were all the rage. It was said that the ring reflected the wearer's mood. Black = anxious/stressed, orange = worried, green = normal, blue = happy, pink = as good as it gets. As you respond to this week's Saturday 9, what color would your mood ring be? 7) Pet Rocks were 1975's other odd cultural phenomenon. Do you have any real-life, breathing pets? 8) 1975 saw the premiere of Wheel of Fortune. Are you good at word puzzles? 9) Random question: Did you sleep well last night?